The primary goal of Back to School Night is to engage parents in their child’s learning. Due to the Mayor's State of Emergency, we have cancelled this evenings Back to School Night. 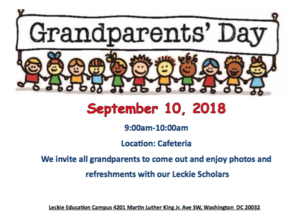 This is the time, we invite all of the grandparents to be a part of our school and their students. ATTENTION JBAB PARENTS AND LECKIE STUDENTS! 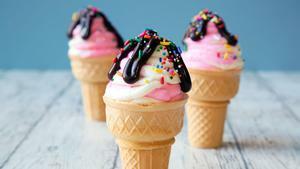 If your a JBAB parents and your child will attend Leckie Education Campus (PK3—8th Grade) for the 2018-19 School Year, please join Leckie administrators and teachers for school information and ice cream! We are PLEASED to announce that for the 2018-2019 school year our middle school students will have NEW UNIFORMS. 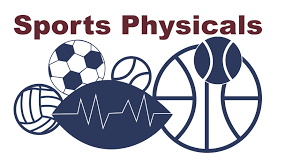 If your student is in Grades 4-8, please take an opportunity to go get them a free physical. 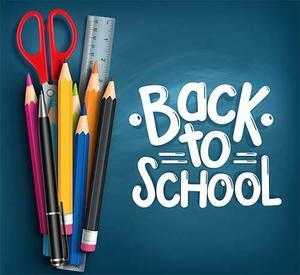 Good News - The 2018-2019 Supply List for Students is Now Available. We will NOT have a carnival, we will NOT have food, and NOT have water activities. IceGreen Snowballs will be here tomorrow for the final time with Large: $5.00, Medium: $4.00 and Small: $3.00 snowcones. CASH only please, exact change. Please remind your students to return ALL OUTSTANDING books into the library. Reminder notices to go to parents to collect books that may be in classroom or in book bags. Leckie Education Campus is proud to announce that we will be participating in an end of the school year trip to SIX FLAGS for our 5th-7th grades. We will be going on June 12, 2018. Students will depart Leckie Education Campus at 9:00am and returning at 4:15pm. Students will be required to pay for their ticket. The ticket price is $45 dollars and includes a buffet as well. Students who do have season passes to the park (Six Flags) are still permitted to attend and their fee will be $15 for the buffet. The fee includes access to the buffet and BOTH parks (Six Flags and Hurricane Harbor). Please make sure your scholar is dressed and ready for both the water park and the amusement park. Funds must be submitted by Wednesday June 8th, 2018. If you have any questions please do not hesitate to contact Ms. Lee. activity and support our students in developing a love of reading. support Leckie’s school goal of 36,540 minutes spent reading this year. 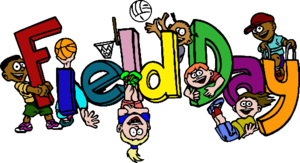 Leckie will host our school-wide Read-a-thon. We would like to provide snacks. We need the following donations. Or Larissa.Camilleri@dc.gov for more information. 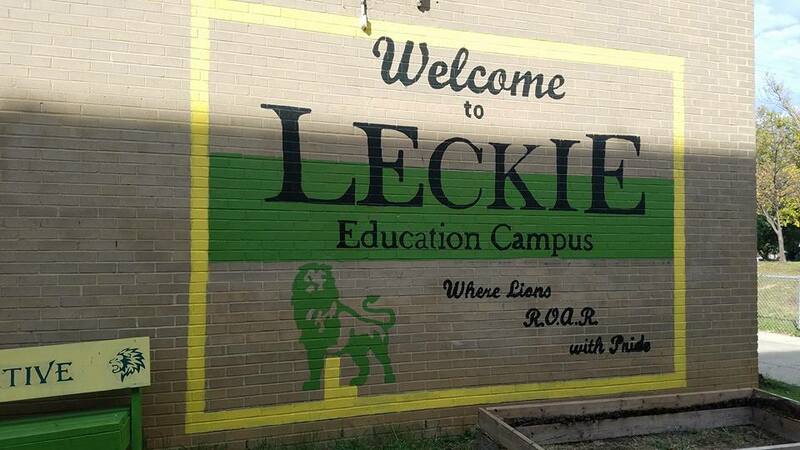 Thank you for your participation and assistance in making Leckie successful.